Caribbean Lifestyle Media: Mavado recently shot the video for one of his latest singles, "StarBwoy". The video was directed by Winston "Tyson" Mayhew at the location where he keeps his Stulla Wednesdays-Starlight Club and the Altomont Court Hotel in New Kgn. Also on set was Fambo, Ding Dong, Macka Diamond, Nefatari, and Chase Cross. 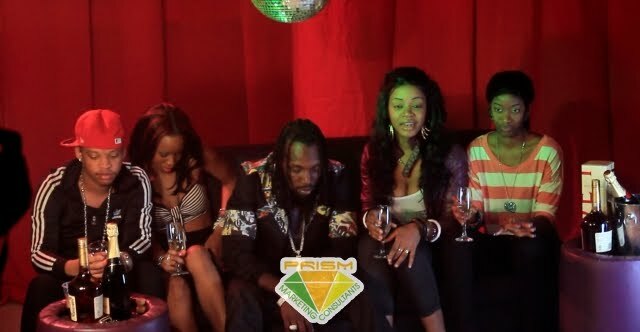 Mavado was recently in Europe on a 8 city tour with Chase Cross and Stacious. 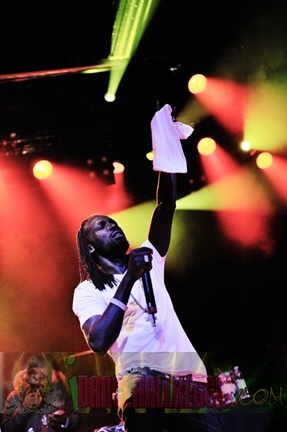 In German Mavado rocked the house at the Amsterdam Reggae Festival. "Its my third tour of Europe and it just gets better, its always a joy to see people from all nations in the crowd who's first language is not English singing along to my songs. Its a great feeling and inspires me to continue making great music. Life on the road can be tough, you have to just condition your mind and get physically fit because its just traveling and shows day after day. Its a joy to see the people's reaction out there 7,000 miles away from mi yard so its something I love doing." Manager Julian told us, "This tour we ventured into markets Mavado hasnt played before, Promoters in Helsinki, Finland, said it was the biggest Dancehall show ever there. The Stockholm and Copenhagen shows were also very well attended and the crowds were full of energy. These shows were on Sunday, Monday and Tuesday nights so to see Dancehall music getting that support so far from its epicentre is encouraging." Look out for the new video from StarBwoy which should be coming out soon.